When it was first shown, this was the first appearance on the site of the new 5in figures from Character rather than my own creations. But I knew I couldn’t use my custom figures when there were way better versions out there. And the fun of buying toys again kind of took over. 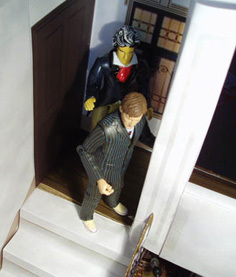 The Beethoven figure is made by Accoutrements, makers of historical and miscellaneous figures that happen to be the same scale as the new Doctor Who toys. 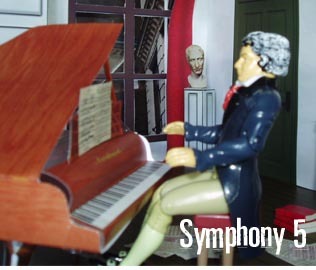 It was always intended to feature Beethoven and I fortunately managed to get a figure on ebay. If I’d found Mozart or Bach first though, the story would have featured them. 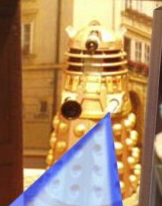 While looking for figures that would be in scale with the new 5in Doctor Who range, I happened upon Accoutrements' line of historical figures and immediately hit upon the idea of the Daleks going back in time to stop a piece of music being written. Symphony 5 tries to follow in the new series tradition of having the Doctor and Rose encounter an historical figure be it Charles Dickens (The Unquiet Dead) or Queen Victoria (Tooth & Claw) amid one of their adventures. 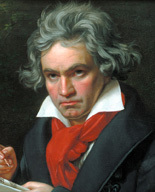 As such, Symphony 5 has been researched thoroughly to bring us this snap shot of Ludvig Van Beethoven. At this time in his life, 1805, he becoming profoundly deaf. Some historians believe this was due to lead poisoning from the drinking water of the time. 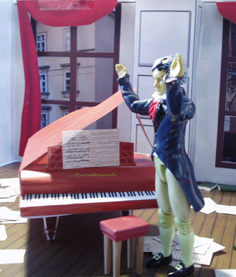 He works on the 5th Symphony for many years in between working on other compositions. Beethoven was on record describing the opening motif of the 5th Symphony- “Thus fate knocks at the door.” Is he referring to the day when the Doctor came to his door in a battle that inspired the music? 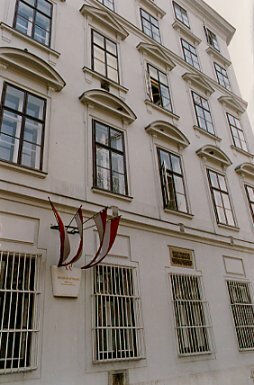 More info on Beethoven at wikipedia. 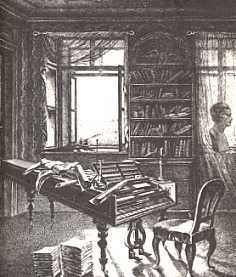 The portrait on the wall is Beethoven’s grandfather and the green door is from the Beethoven museum. 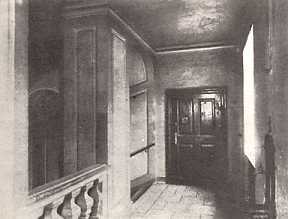 It had been the door to the apartment where Beethoven died. 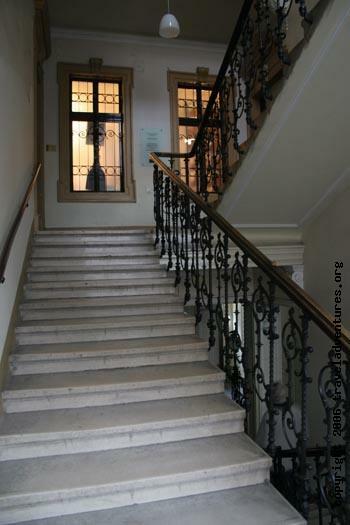 The sets were inspired by these views of Beethoven's last home. The original version featured a guest editor, Mark McCreadie giving the story a unique look. When it looked like I was going to be unable to edit it on time, Mark answered my plea for help. Mark might be better know to you for his excellent work at City of Heroes. If you prefer your AFT in comic strip form, the original is presented here. Flash movies are something the AFT has been trying to do for years. 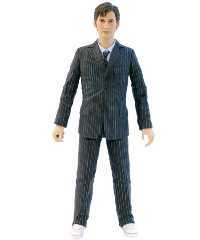 It was attempted with limited success back in 2004 with the 5th Doctor story PLASTINATE. But now it has become possible to add music and sound effects. It just gives it another dimension and makes the AFT experience more rounded. So why this story? The ultimate aim is to produce a few adventures later in the year but we needed to carry out tests first. Symphony 5 was the perfect story for that- it's relatively simple and fast paced. Plus we had all the basic images still on file. Initially it was just going to be the opening teaser as a test but it went so well we extended it to the whole story.